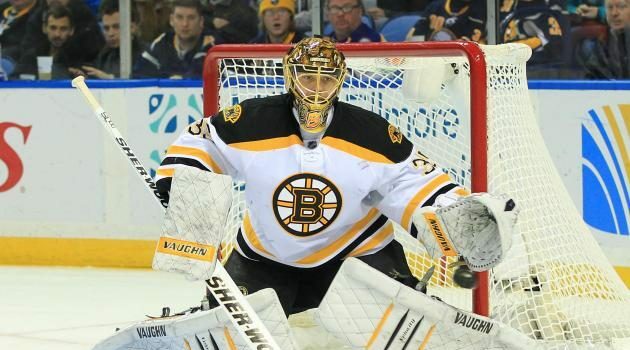 Once again, Anton Khudobin is going to be the Bruins backup goaltender despite coming off a down year. That’s what the Bruins are rolling with. Not outstanding (2.64 goals allowed per game in 16 games last year), but there is hope that he somehow gets better this season. The goalie let up two goals in the Bruins preseason opener and helped them to a win but if we’re being honest, that really doesn’t mean all that much. However, if you look at what Khudobin did over the course of the offseason, you might feel a little better about him. That’s because he apparently started doing more CrossFit workouts in order to improve his overall strength and athleticism. If that’s the case and his effort was successful, then it shall be interesting to see the results during the season. It may also be worth noting he did a lot of skating sessions too. Maybe a different workout program can make a little bit of a difference for him. Not too sure about what hockey players do to work out and if CrossFit is good for them. I know it did nothing for me when my school’s strength and conditioning program switched to a CrossFit style. It improved conditioning for sure, but did not build up sufficient strength. Since all he’s trying to do is stop pucks and not a bull rushing nose tackle, the conditioning part is probably more important though. The Bruins need Khudobin to be good this year. We saw last year their depth at goaltender is less than ideal: Malcolm Subban and Zane McIntyre. Those aren’t dudes who have proven they can win hockey games. It would also help all of these guys out if the Bruins defense is better this season. The fact that Charlie McAvoy played as much as he did in the playoffs last year tells you there’s a problem.